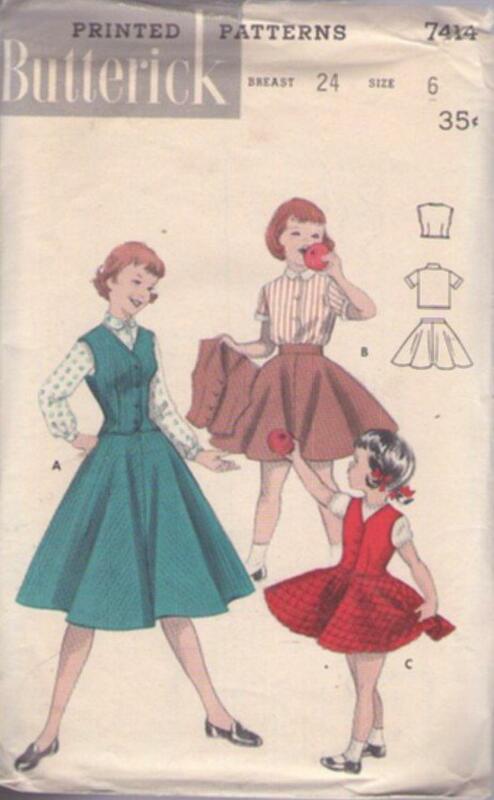 ​Bust 24", Waist 22", Hips 26"
1955, 50s Children, Retro School Clothing Patterns - GIRLS' BLOUSE, WESKIT, AND SKIRT. Her favorite outfit. (A, B) Dream-fit weskit, full skirt with zipper closing. (A) Long-sleeved blouse. (B) Short-sleeved blouse with contrast collar and cuffs. (C) Contrast skirt and weskit.